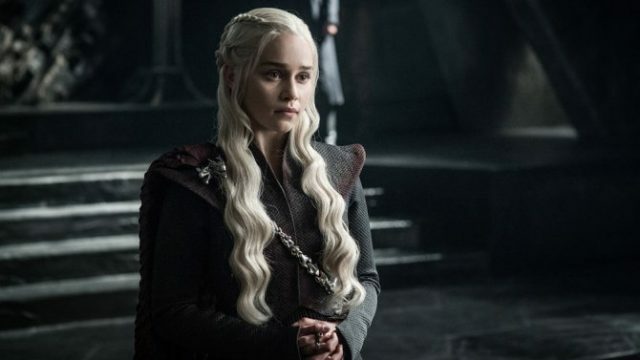 Daenerys Targaryen may look tough, but Emilia Clarke is even tougher than the matriarch of House Targaryen. Ahead of the final episodes of the series, the actress described her near-death experiences in a first-person essay published on The New Yorker. Clarke revealed her first aneurysm took place after the end of filming for Game of Thrones‘s first season. Clarke was taken to the hospital after she felt a “shooting, stabbing, constricting pain” in her skull during a workout with her personal trainer. Clarke underwent a successful surgery which saved her life, but the doctors detected a second, smaller aneurysm. A couple of years later, the future Sarah Connor in Terminator: Genisys had to endure another medical procedure.